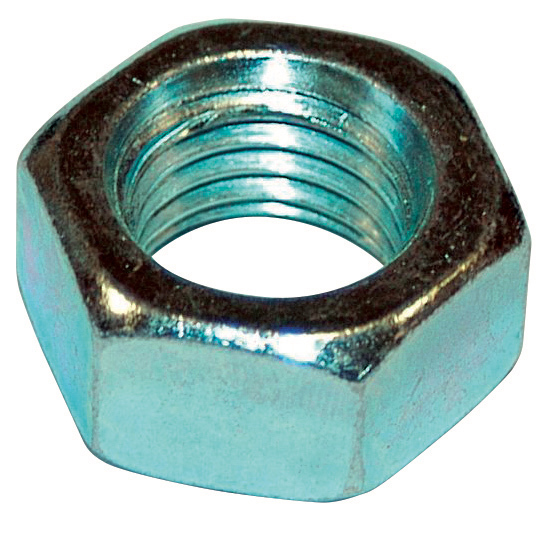 Traditional hex nuts. Manufactured by « Die milling ». White galvanized steel.